Sew Psyched is a gorgeous dusty, pastel olive green. It is a lovely creme formula that is almost opaque in one coat (photos show two coats) and I love Essie brushes which have just the right amount of softness and flex for perfect control and easy application. With stamping . . . 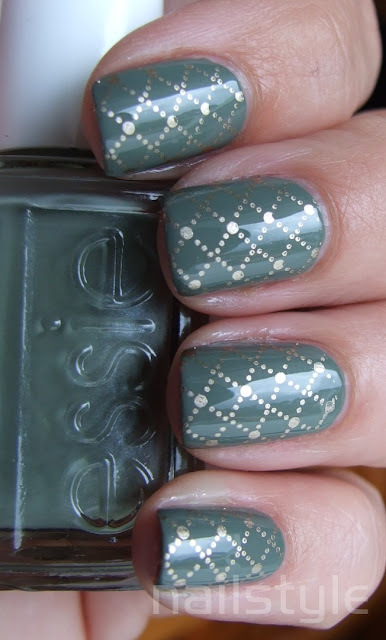 This colour is so nice, and looks fantastic with the gold stamping. I love this manicure. The image you stamped is perfect for this colour. Great colour combination too! I am totally loving this! I have that plate and that Essie. They both rock! Nice job!